Showing 48 of 674905 results that match your query. Product - Buy 2 Russell Mens L2 Active BaseLayer Thermal Pant, and Save! Buy 2 Russell Mens L2 Active BaseLayer Thermal Pant, and Save! 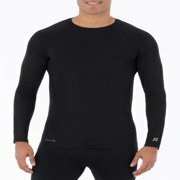 Product - Buy 2 Russell Men's ThermalForce Stretch Fleece Baselayer Thermal Bottom, and Save! Buy 2 Russell Men's ThermalForce Stretch Fleece Baselayer Thermal Bottom, and Save!